A patent filing made by Google envisions a world where a Google Glass type wearable could produce holographic images for users. 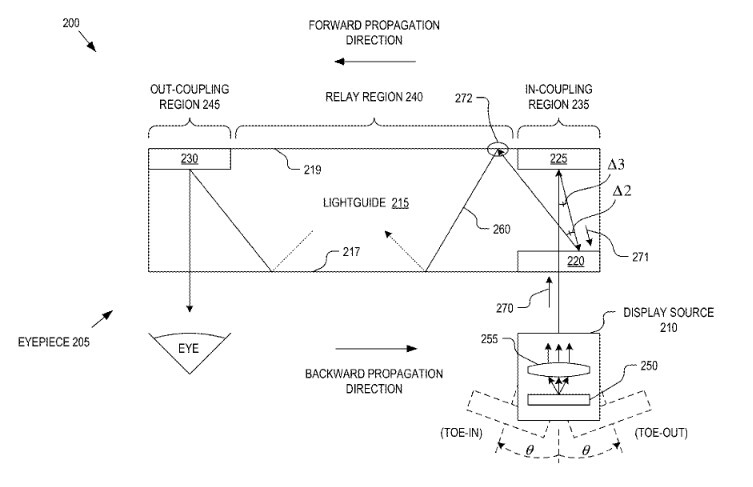 The actual title of the patent application is "Lightguide With Multiple In-Coupling Holograms For Head Wearable Display." With Glass currently on hiatus, as they say in the television industry, there are reports that Google plans on bringing the wearable back under the Project Aura heading. With the possible use of holograms, the content called up by the Glass wearer could interact with the background seen through a lens mounted on the device. According to the patent application, "with augmented reality the viewer’s image of the world is augmented with an overlaying CGI, also referred to as a heads-up display." 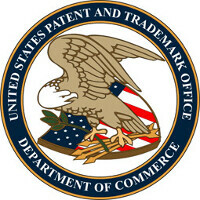 The application also gives some real-world applications for the patent. For example, it would "permit a pilot to see vital flight control information without taking their eye off the flight path. Public safety applications include tactical displays of maps and thermal imaging." And of course, gamers would get a new thrill. The patent was filed on March 28th 2014. So google is now trying to copy the Microsoft Hololens. Google has no shame. If it's the same function but works in a different way, there's nothing wrong with that. If no one tried to bring competing products to market, all we'd have are monopolies. If it's a straight up copy, then that's another thing entirely and you'd be correct. But if that were the case, there'd be no reason to patent it, unless Microsoft didn't patent Hololens, and I seriously doubt that's the case. What are your basis that this patent should not be granted? I don't know much about patent laws. But I do see the damage it has done from a consumer perspective. Things are more expensive and smaller companies are handicap from making better version of existing products. So consumer has to keep buying the expensive patent approve version. Of the three, both Apple and Microsoft are using their patent portfolio aggressively against small companies that could not afford to engage in patent lawsuit. Google are also a sizable company that could defend itself and that all they have been doing with their patent. You call me a fanboy but you champion Microsoft every opportunity you have. So who is the narcissistic hypocrite? I have seem the demo of Hololens. It's a cool product. I don't think the two are the same. Imagine if Apple successfully patent touch screen device. Every one would be either force to pay a king random on royalty or just use an iPhone. I have a Xbox, Xbox 360 all their accessories are more expensive than say the PS3. Xbox approved HDD, Xbox approve head set. Microsoft refuse to support Bluetooth headset for their Xbox series. You can continue to buy Microsoft for me I like to explore all my choices. Good for you! I got Xbox because my friends are there. Now every one seems to have move to PS4. Have not decided whether to follow. I know you have both Surface 2 and Surface 1, its in your profile. My productivity tool is Macbook Pro 13 2015 series, running Virtual box guest host, Windows 8.1. Need both OS for work. That could be said of any competing product. If they accomplish the same outcome, but the way they do it is different, then both concepts can be patented. And when I say the way they do it, that means the technology behind it. So unless Google's patent is an exact copy of Microsoft's, there is no issue. You can't patent the outcome, you can only patent the way you accomplish said outcome. Do you ever know what Google is patenting or how Microsoft Hololens works? You remark show that you are just a blind Microsoft Fan boy. At least this is a proper patent unlike Apple getting a patent for a rectangle with rounded edges. Besides Google only use its patents to defend itselfs. The right to make technology accessible to the masses. Any other company would hog their tech e.g Microsoft FAT file system was available to the mass until it becomes a widely used standards before Microsoft start cashing in and sueing their competitors. I think progress is only possible with Open Standards e.g Internet, 3G GSM. When one company hog a technology standard that it will definitely hold back progress for x number of years. As long as the private company controls it.